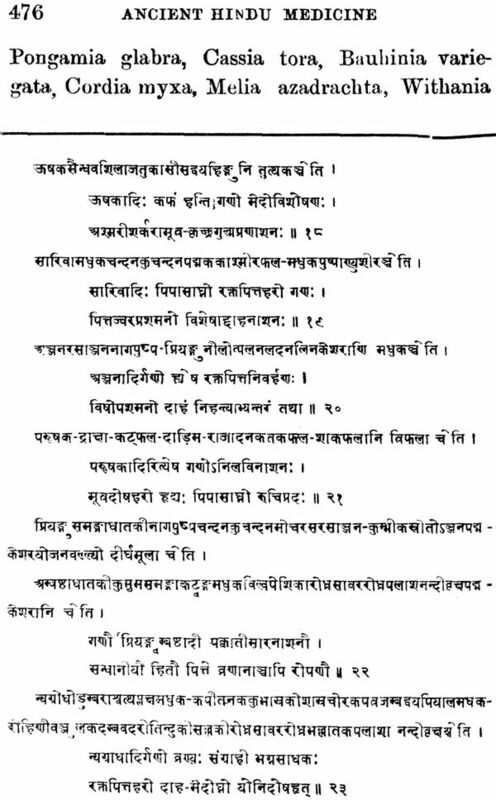 Ancient Hindu Medicine is a work based upon the treatise of Charaka and Susruta in modern medical terminology. It deals with the Ayurvedic anatomy, physiology and pathology in full detail. Different diseases with their diagnosis and clinical studies has been comprehensively described in the book. Separate chapters on therapeutics, dietetics and hygiene makes the book more complete. This book will be of immense help to the students and practitioners of Ayurveda. 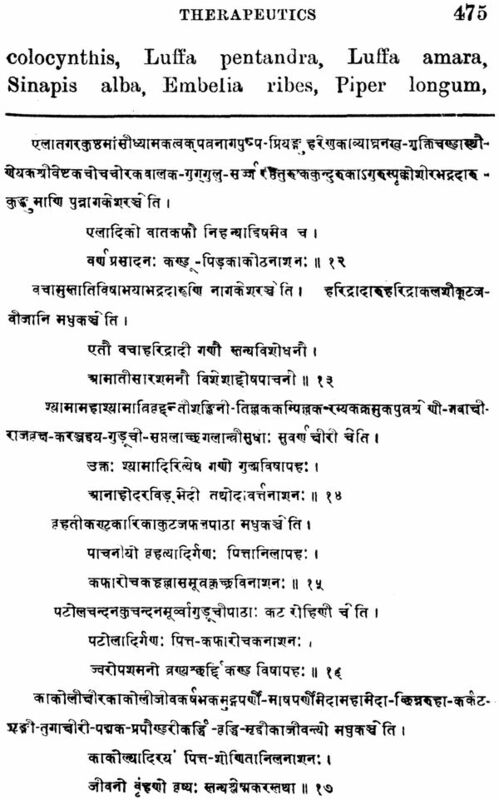 It is also an indispensable work for the libraries of Ayurvedic Institutions, colleges, etc. 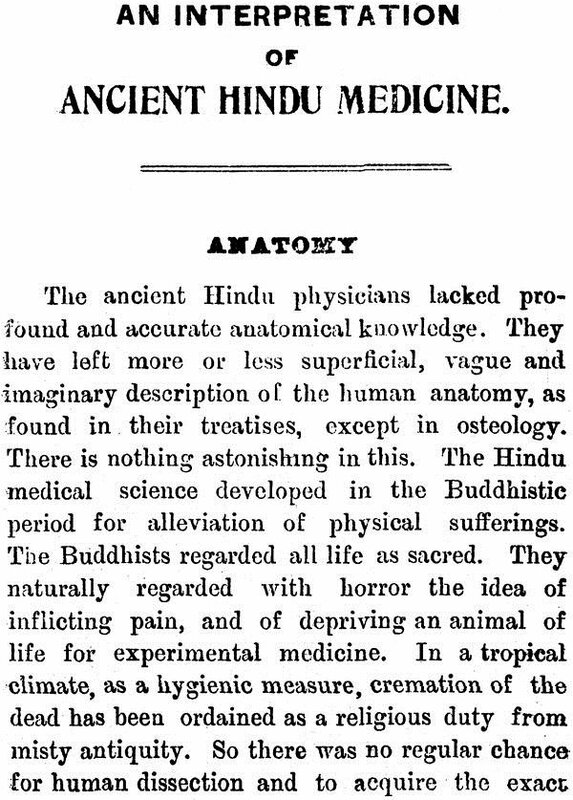 I started this Book with the idea of making it a comparative study of the ancient Hindu and Greek systems of Medicine in the light of modern knowledge. But I soon realized that the Hindu students for whom this book is chiefly intended, would not be interested in the Greek Medicine, and as there are excellent translations of the works of Hippocrates, I have confined myself to the interpretation of the Ancient Hindu Medicinealonu. 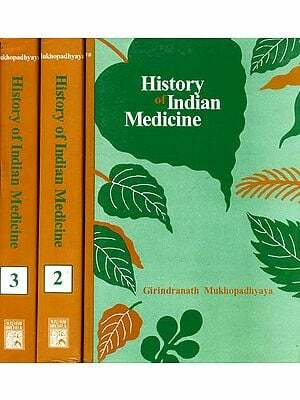 I was forced to the conclusion that the Ancient Greek Schools of Medicine were indebted to the Hindu Systems for the following reasons:- (1) Indigenous Indian drugs are found in the works of Hippocrates as (a) Kardamomon from SK. 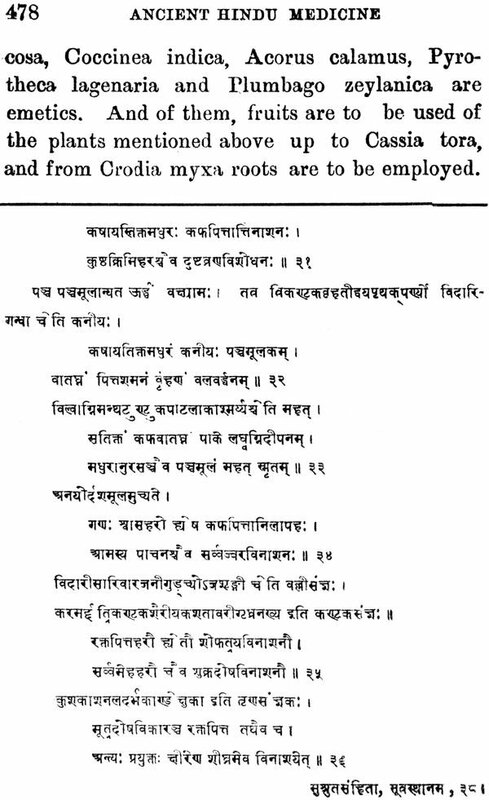 ‘kardama’ (cardamom) as an emmenagogue in Vol. VII. P.358; in dyspnea in Vol. VIII. P. 80; (b) Amomon from Sk. 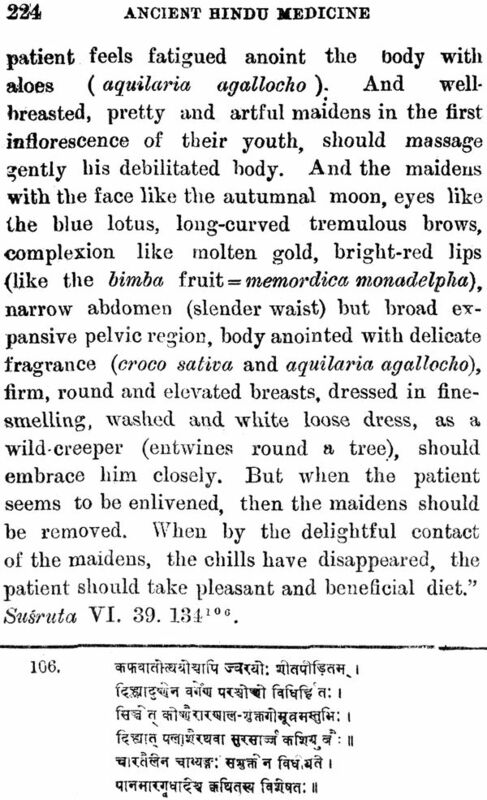 ‘ela’ ( Elettaria cardamomum ) as an emmenagogue in Vol. VII. P. 358; (c) Peperi from Sk. 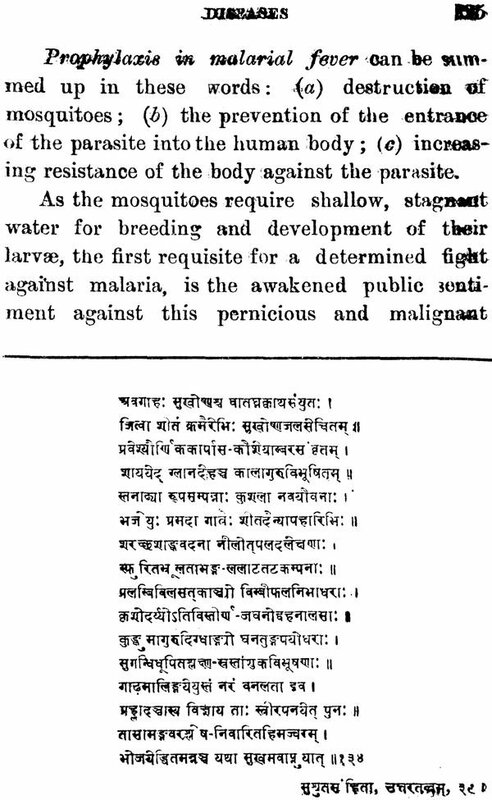 ‘pippali (Piper longum ) as an expectorant, mixed with honey-water in Vol. II. 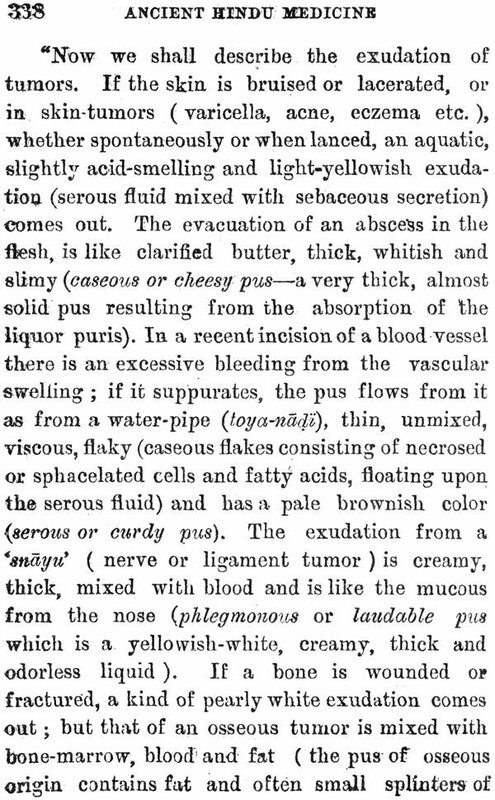 P. 464; in nasal catarrh in Vol. V. p. 183; in gingivitis in Vol. V. p. 244; as an errhine in Vol. Y. p. 328; as a drink with honey, vinegar and water in Vol. VII. 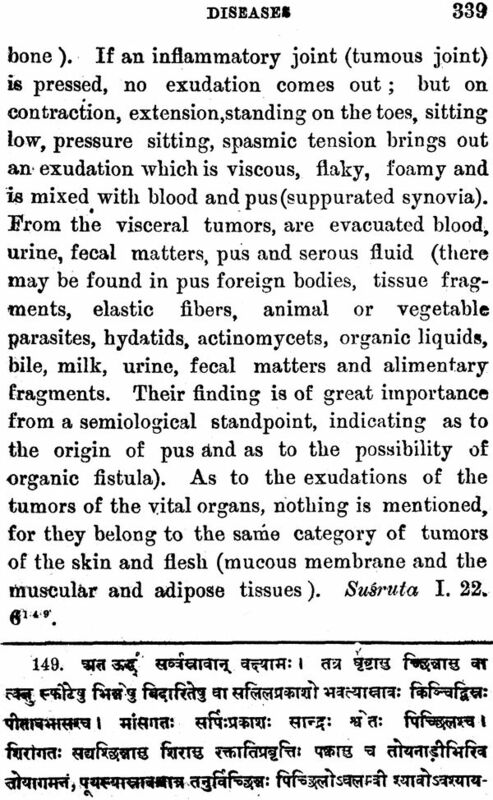 p. 150; with wine and oil in a pessary in Vol. VII.. p. 364; in quartan fever in Vol. VIII. p. 654; Dia-trion piperidon,' from' Sk. trikaiu;' a preparation made from three species of 'Piper' (mgrum, longum and album); (d) Kinnamomos from SkI 'tvak' (Cinnamomum 'zeylonacum) with myrrha, and safran in fumigation in Vol; VII. 'p. 372; simple fumigation in Vol. VIII. p. 864; (e) Akoros from Sk .. ''Dacha'' (Acorus eolamus ) with myrrh a .as antiseptic injection 'in Vol. 'VII. p. 368 ; made' infusion with dry pomegranate skin in wine for astringent injection in Vol. VIII, p. 860; (f) Nardo", from Sk. 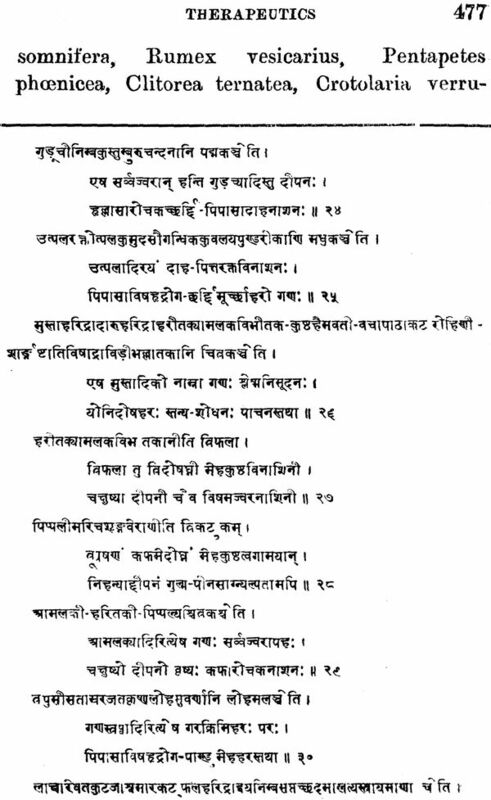 Jatamamsi’ (Nardostachys valeriana) as antiseptic fumigation with cinnamon, myrrha and rose perfume in Vol. VII. 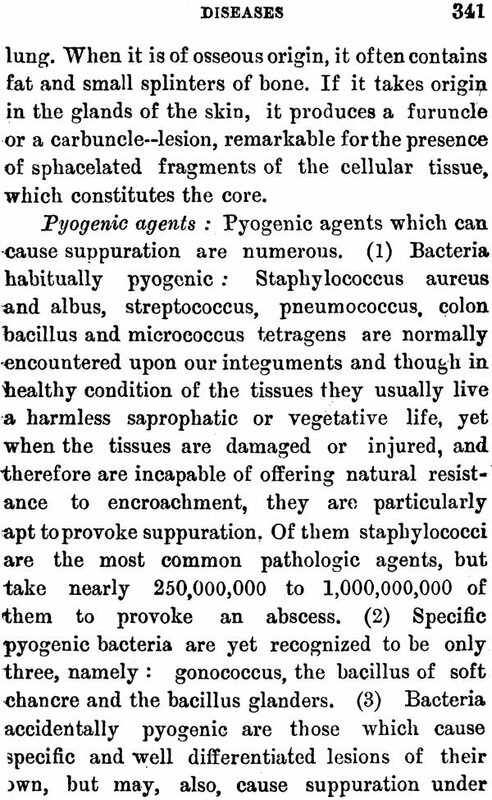 p. '372; as an astringent wash in lochia in Vol. VIII., p. 104;' (g) 'Sesamon from Sk. ‘tila’ (Sesamum indicum) as a vulnerary in empyema-suppurative abscess in Vol. II. 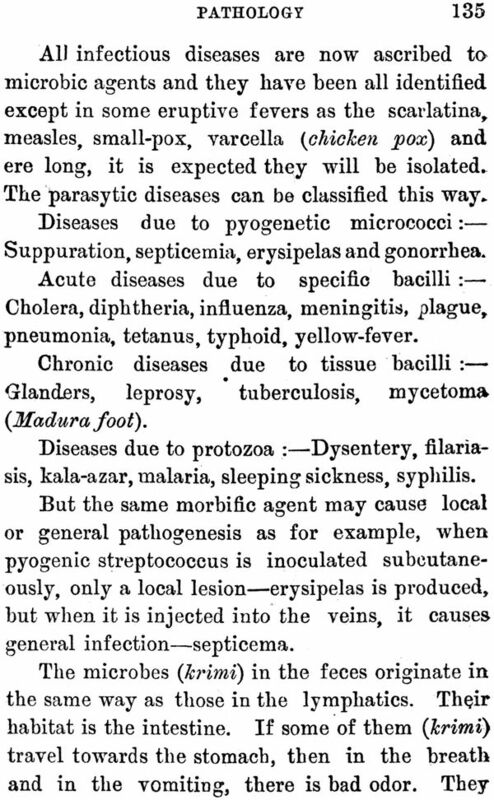 p. 518 ; in the treatment of adiposis in Vol. VI. 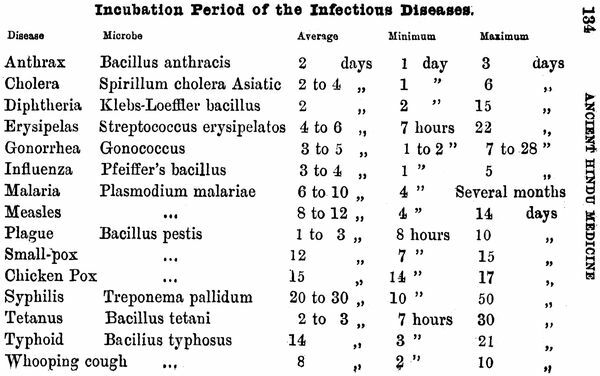 p, 76 j as a plaster in long-standing catarrh in Vol. 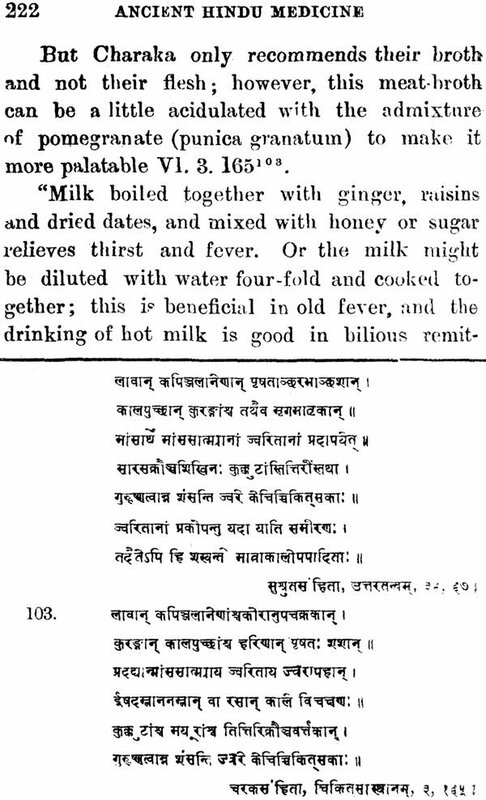 V. p. 432; as a fattening food in Vol. VI, p. 258.; as a nutritive food in Vol. VI. p. 544; as a. substitute for cheese in Vol. VII. p. 78; in coughing of the children in Vol. VIII. ,82; (h) Ziggiberis from Sk. 'srngavera' (Zingiber officinale ) ; 'kostos srom Sk. ‘kustha’ (Costus speciosus); Sakahaon from Sk. 'sarkara' ( Saccharum oflicinarum ); Pepereos riza from Sk. 'pippali-mula' (radix Piper longum); Kupeiros from Sk. 'muatalca (Cyperus rotund us);' Bdellion from Sk. ‘guggula' ( Aquilaria agallocha ) ; etc. 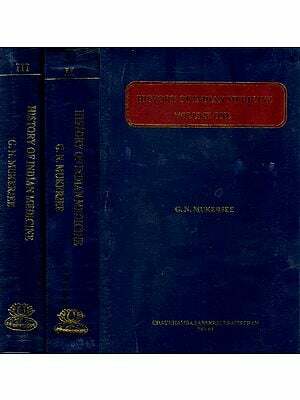 (2) Humoral Pathology: In 'Peri Physios Antyropoy'( On the Nature of Man) Vol. VI. 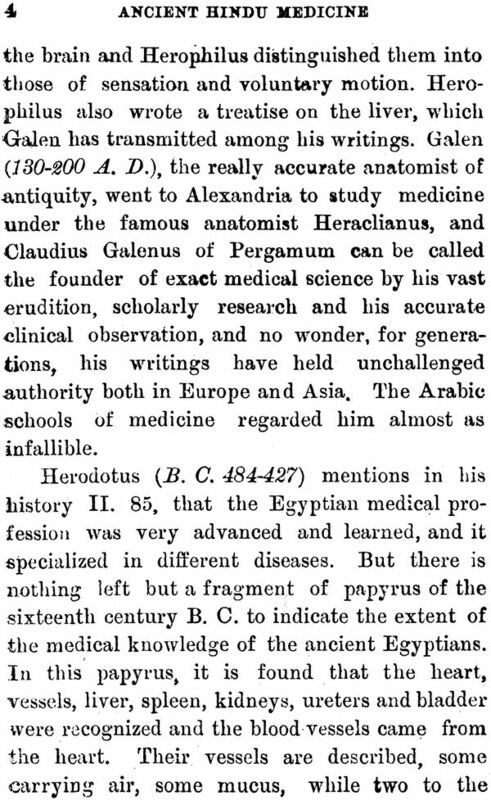 p. 82-69, Hippocrates advances arguments of superiorly of the principles of the four humors. whose equilibrium in the body preserves the normal health and whose derangements are the etiological factors of disease, as, the 'aima' (blood: Sk. 'rudkira '), 'phlegma' ( phlegm ; Sk. 'slesma,)’ ‘cholen xanthen' (yellow bile: Sk.' 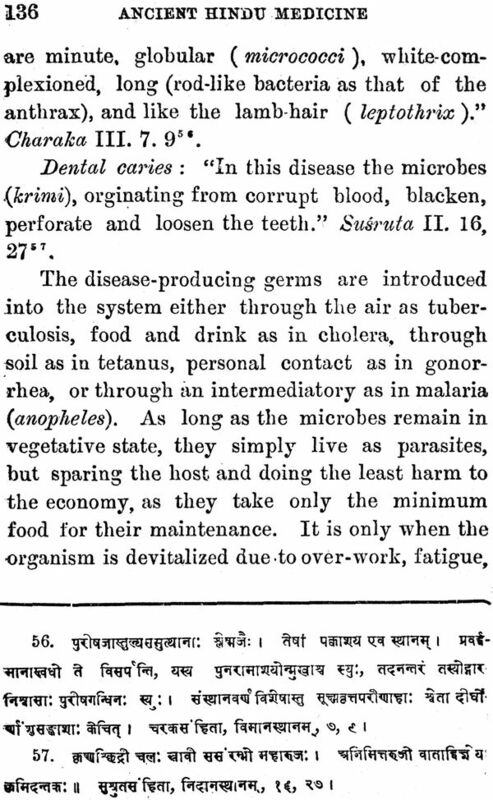 'pitta' ), and ‘cholen melainam’' (black bile : as a. . substitute for Sk. 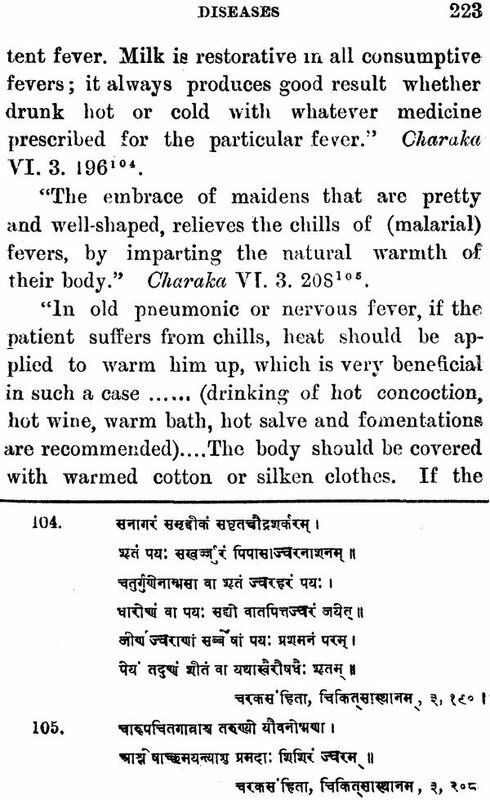 ‘vayu’),which he for the first' time Introduced into Greece over the ancient doctrine' of 'hot ( from fire) 'cold’ ( from earth ), 'dry’ ( from air ) and ‘moist’ ( from water ) qualities which were supposed to be the basic factors of health and disease, and which he also argues in his book ‘Peri Archaies Ietriches’ (Ancient Medicine ), Vol. I. pp. 570-637. In his ‘Peri Gones’ (Generation, 3), vol. VII. ‘’anima, chole, udor, phlegma’ are mentioned as the four humors, using ‘bile’ without any qualification, and in the place of one, ‘udor’ (Sk. Udaka=serous fluid) is substituted, thus proving that the humoral question was still in transitional flux, and was not settled or fixed. In ‘Peri Chymon (Humors, 8, 14), vol. v.p, 488, 496, seasonal changes are mentioned to cause the increase and the decrease of the humors, as the increase of the bile in the summer, and thus organisms are predisposed to certain diseases in particular seasons in which their controlling humors are predominant, in a very strikingly similar language as described in Susruta on ‘rtu-charyya”. 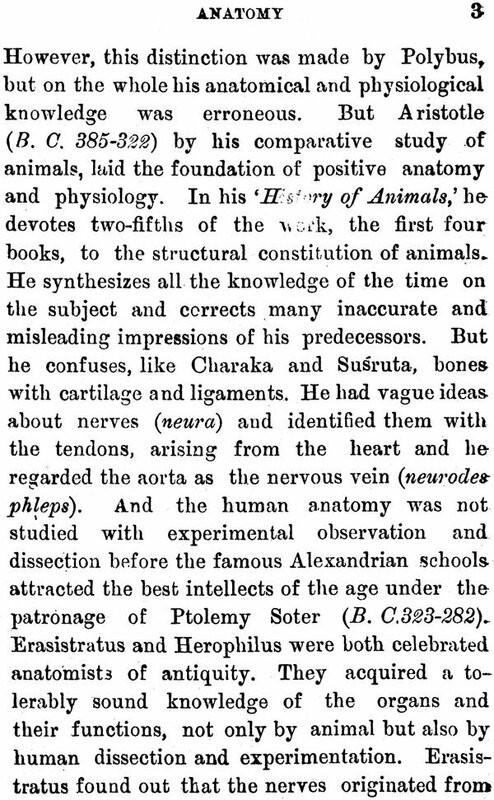 In ‘Pery Physios Anthropoy’ (The Nature of Man, 7), vol. VI.p. 46, it is argued that ‘phlegma’ is dominant in the winter, for the reason that man conforms to the laws of nature, and as everything is cold in the winter, and as phlegm is the coldest of all the humors in tactile sensation, it naturally therefore is in excess over other humors; in the spring, the bold is dominant , as the phlegm is still strong, owing to he plenty of rain and sap in the soil and plant, but it becomes desiccated by the warm sun; in the summer, the blood is still strong, but the bile is formed by t he strong sun, and the phlegm is in the minimum owing to the hot, desiccant sun; in the autumn the blood is in the minimum, but the black bile is formed in abundance, as the season is dry and the nature tends to cool itself. In ‘Peri Noyson to Tetarton’ (The fourth Book of Maladies, 33), vol. VII. 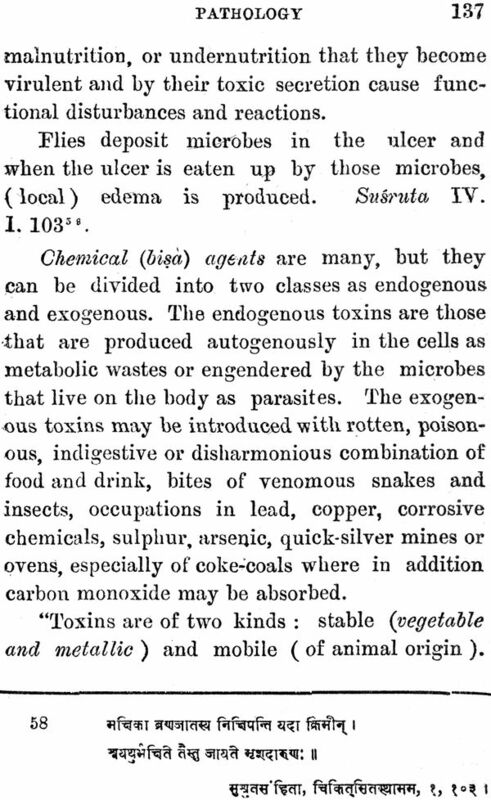 It is described how the humors are in excess or in deficiency: “I shall describe now, how the bile, the blood, the ‘udrops’ (serous fluid) and the phlegm are in excess or in deficiency; it is through the food and the drink, in this way: the full stomach is the source of all things; but when empty, it profits at the cost of the body which it disintegrates. 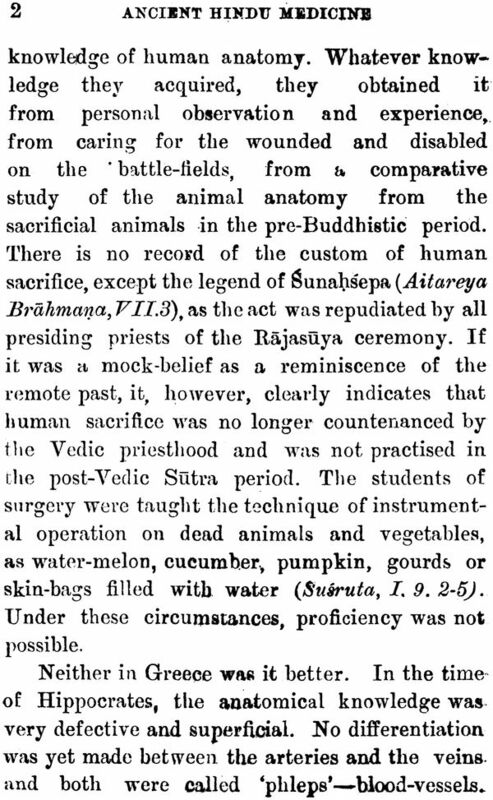 Moreover, there are other four sources from which each of the humors can come to the organs; they come to the stomach, and when the stomach is empty, then go to the organs (superficial), but they come back, when the stomach has something (ingsta). 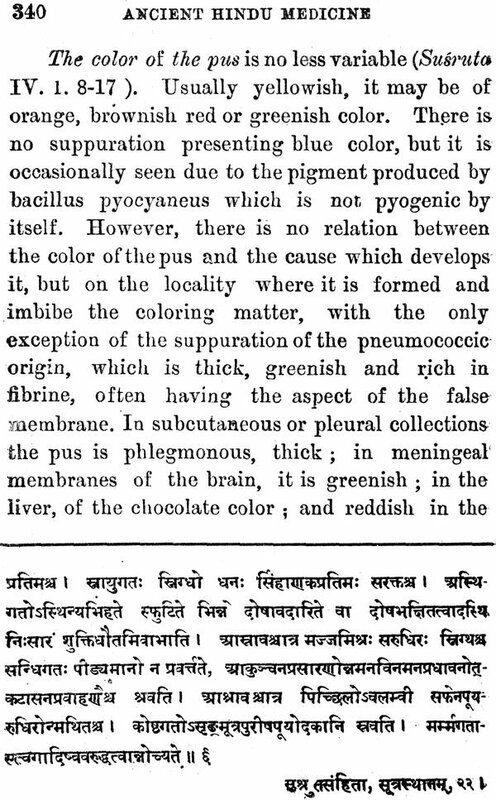 The source for the blood, is the heart, for the phlegm- the brain, for the ‘udrops’ (Serous fluid)- the spleen and for the bile, the part that is in the liver (bile duct)”. And in the same book(34-38), it is mentioned that as the plant can select its food from the soil it needs, so each humor can get its nourishment from all kinds of food; but phlegm is particularly increased by the ingestion of cheese, acrid substance, or phlegmatic food or drink; the bile is increased by bitter food and drink, or bilious substance; ‘udrops’ (serous fluid) is increased by the water one drinks, and is pumped by the spleen to itself and other parts of the body; the blood is increased by the bloody food one takes, and which is attracted to all parts of the body, and especially by the heart. As the disease is caused by the excessive increment of one humor over the rest, its cure lies in bringing out the coction (pachana) of the said humor, and cause its evacuation and expulsion from the body; the crisis of a disease is the turning point when the coction of the deranged humor begins, and the coction produces the periods in fever (vol. I.p. 617; vol. II. P. 635; vol. IV. P. 469; vol.v. p. 485; vol VIII. P. 651).